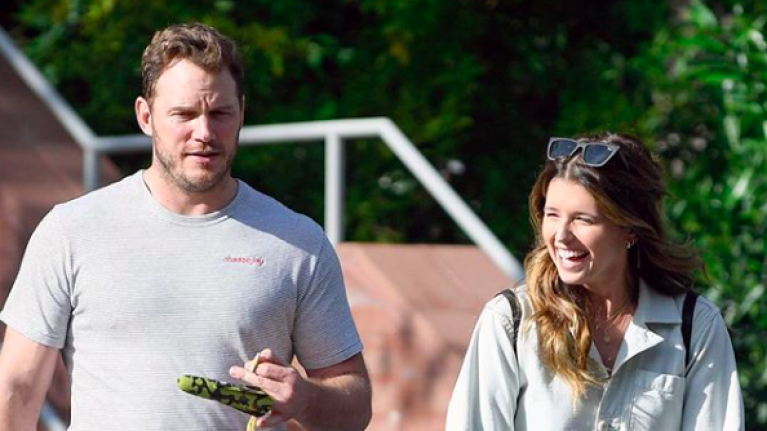 Earlier this month, Chris Pratt announced his engagement to Katherine Schwarzenegger. The pair who've been dating since October decided to make things official by becoming husband and wife; with reports they're looking at venues for a big, traditional wedding this summer. And although we're just digesting the news of the wedding, it looks like Chris is already planning the future and in his first interview since announcing his engagement, he spoke about his hopes for children with Katherine. "The future? Oh. Lots of kids," he said. "Maybe less time spent working, more time spent enjoying life. "I always want to be that guy that works to live, not lives to work. I think, just a lot of time at the farm and a lot of time catching a lot of fish and seeing lots of sunsets." Chris already has one child, 9-year-old, Jack, who he shares with Anna Farris. Chris and Anna were married from 2009-2018, before announcing their shock split in August 2018. The pair announced that the split was mutual and continue to co-parent Jack as well as going on dates alongside their new respective partners. "I'm so happy for you both!! Congratulations!" Anna is currently dating producer, Michael Barrett.